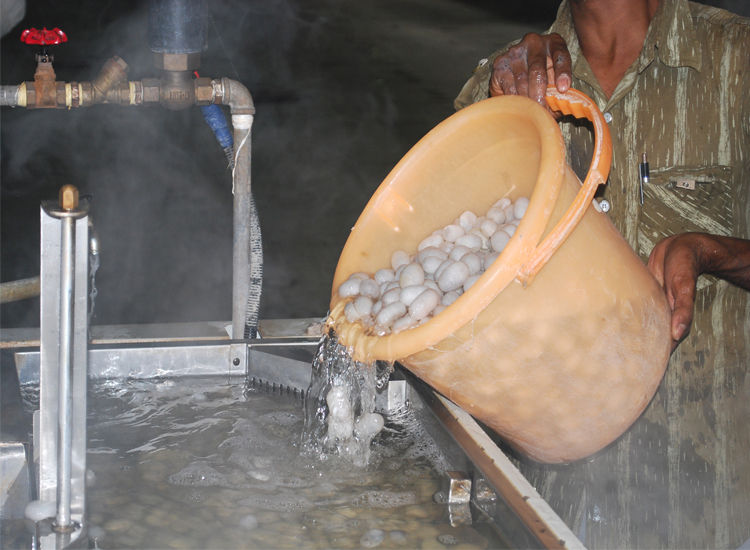 Silk cocoon spread evenly over the surface to ensure heating and extermination of the worms. 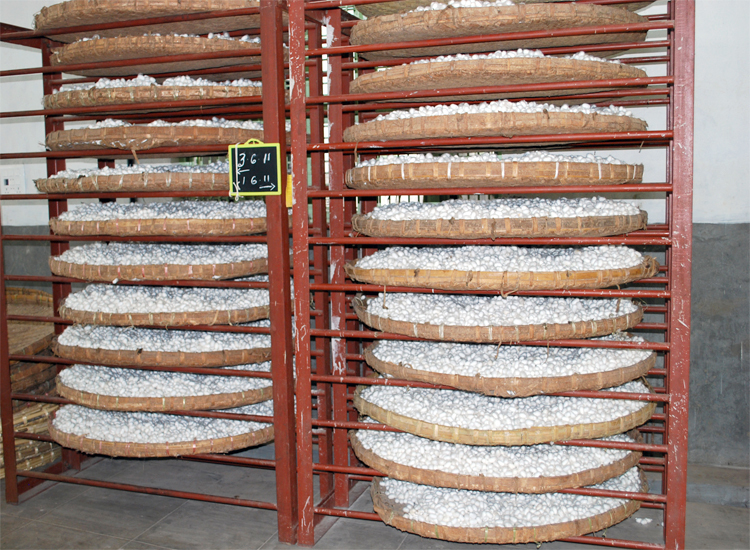 These cocoons are stored for two days to undergo a natural cooling process. 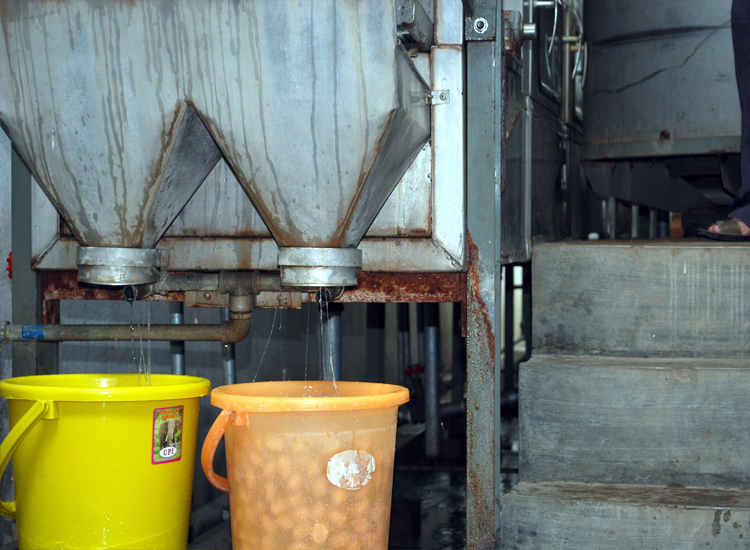 The matured worms are segregated and readied for cocoon formation. 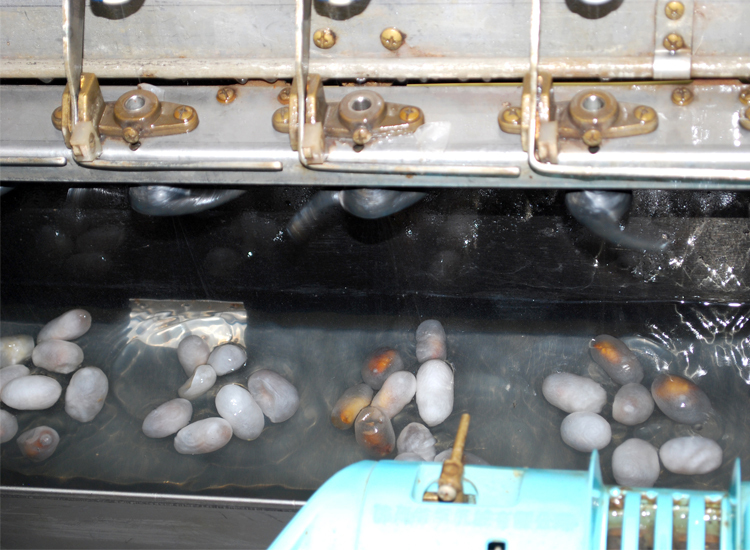 Sophisticated machinery enables the cocoons to be transferred into plastic containers. 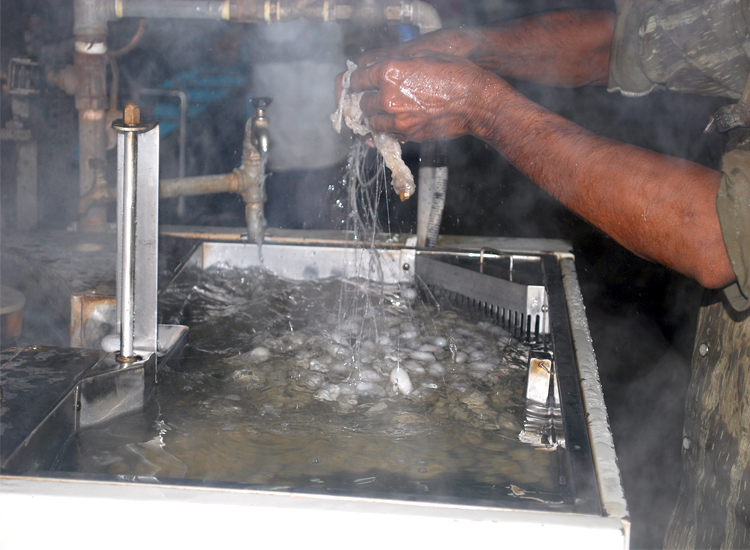 After the process of cocoon cooking, they are transferred to trays for cooling. 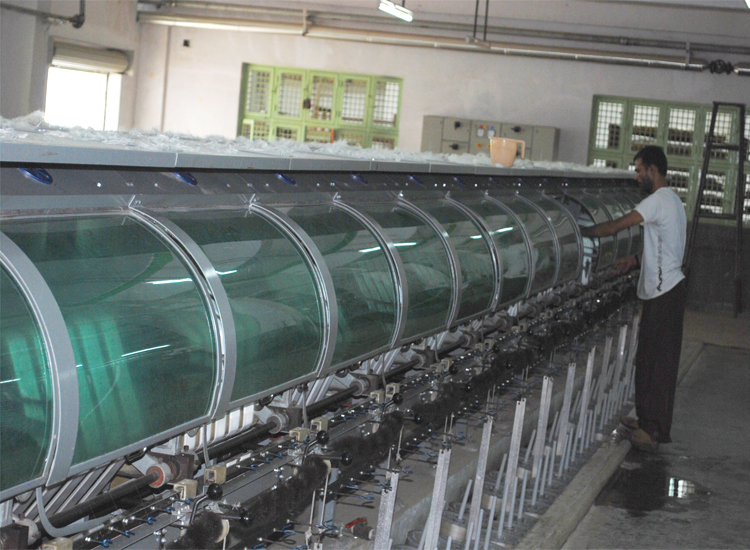 People feeding the cocoons to automatic silk reeling machine to undergo cleaning and reeling process of the cocoons. The brushing device to remove the coarse fibers of the cocoons. 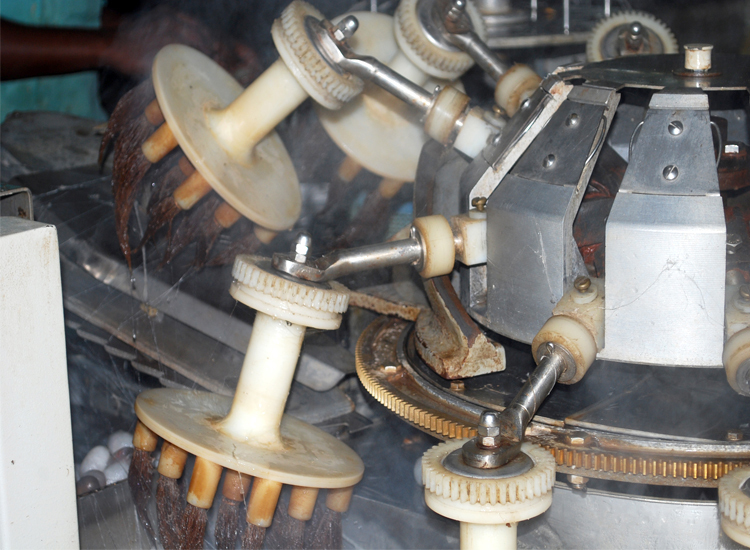 The machine automatically picks the filament from the cocoon and reels it. Automatically the filament is picked from the cocoon and reeled. 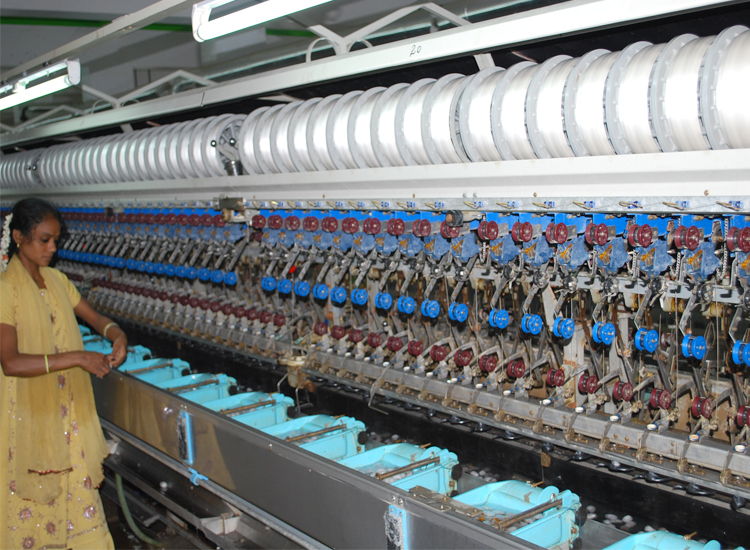 The re-reeling machine which automatically reels and dries the silk yarn. 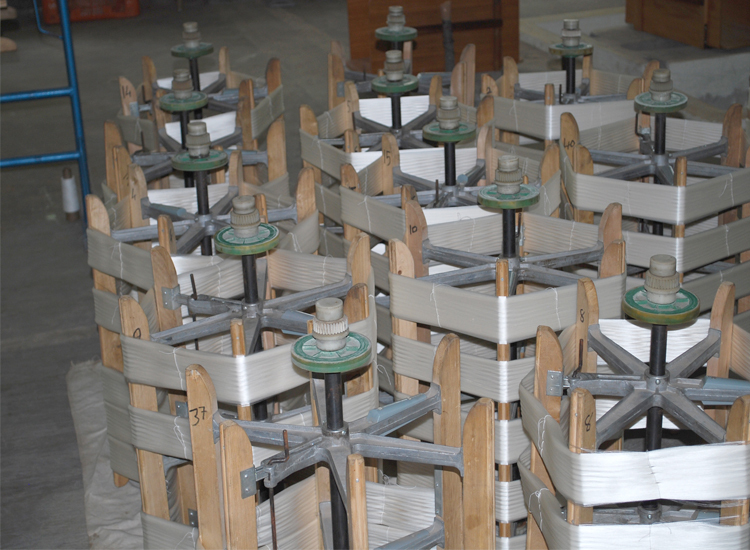 The hanks are detached from the reeling machine for further compression and packaging. The yarn is affixed to the bamboo sticks and stacked one above the other. 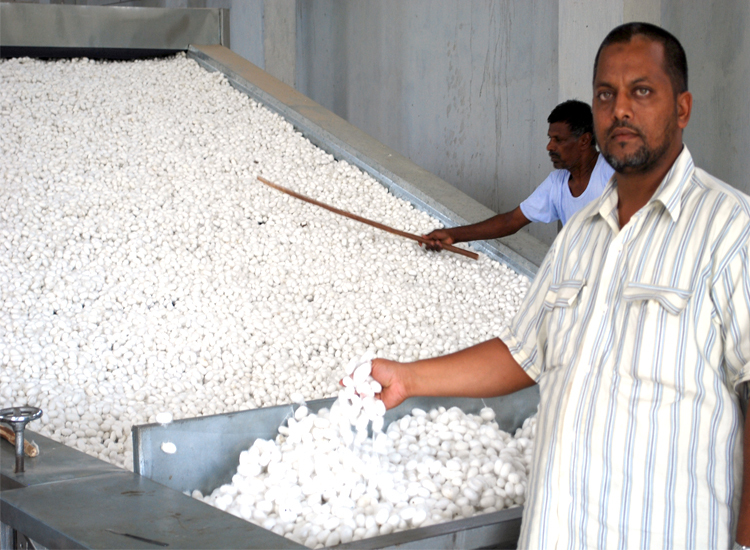 Ramanagara is known for its silk production and has Asia’s largest cocoon market and is widely known for its sericulture. 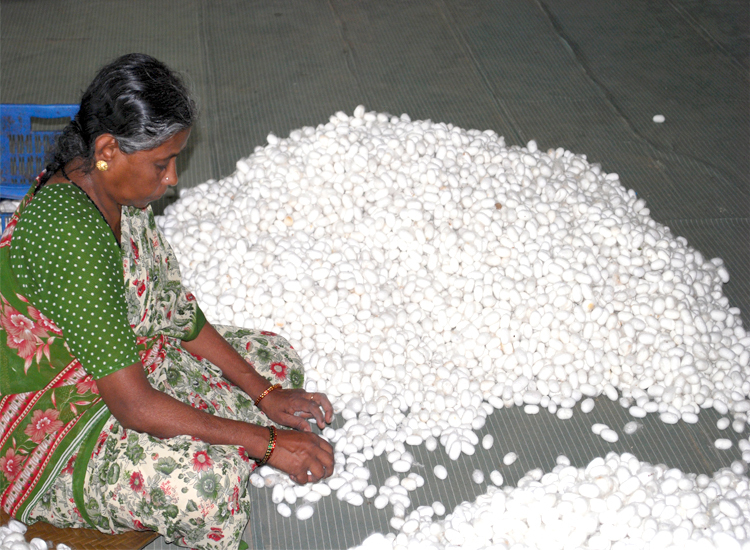 Ramanagara produces one of the finest qualities of Mulberry silk produced in India and is home to many varieties of silkworms of the class B. mori (most commonly found in India). 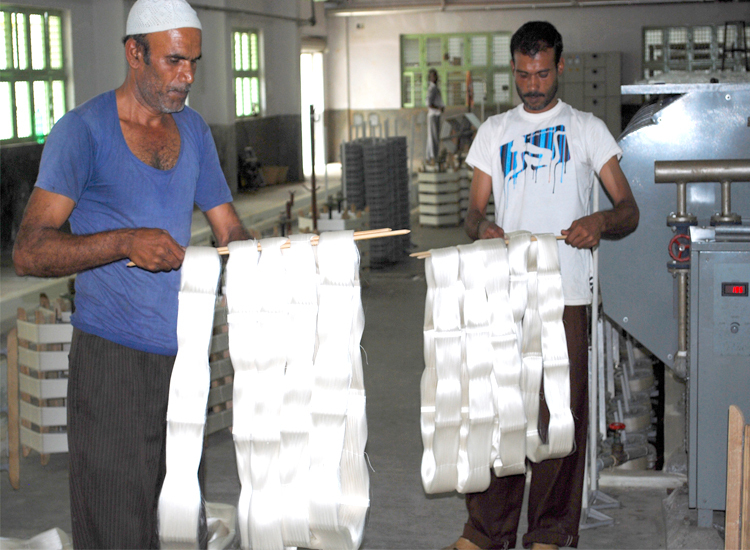 It is the hub for Silk and Sericulture activities.